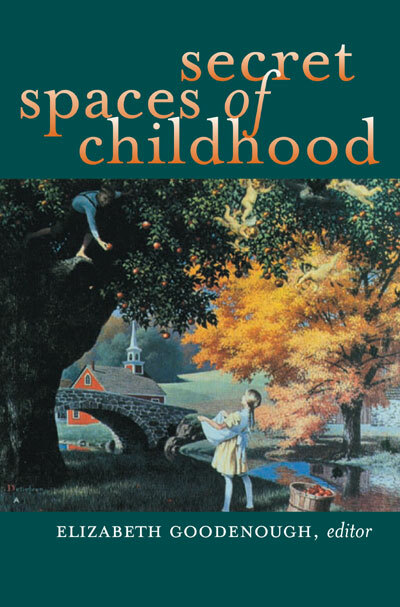 If you ever constructed a fort out of boxes, chairs, and blankets, or lost yourself in the pages of a favorite book, you'll recognize in this collection of essays, poems, and stories the urge we had as children to hide out, build worlds within our worlds, and create spaces as real and potent as any outside the limitless sphere of our younger, inner lives. Secret Spaces of Childhood's adult reflections capture the daydream-like quality of our childhood visions and fantasy worlds, a time when imagination had yet to be banished from reality. 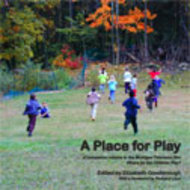 To reconstruct that special landscape, Elizabeth Goodenough gathers an impressive body of writers, poets, and thinkers who render exquisitely the gardens and wildernesses—tender and terrible—of childhood's heart. Elizabeth Goodenough is Lecturer in Comparative Literature, the Residential College, University of Michigan. "It's only a lost paradise that can be found. That's why it's so important to remember the forgotten Secret Spaces of Childhood. Go with Elizabeth Goodenough. She's a good guide." "An evocative, mysterious and often poignant book that sheds light in dark places." "This extraordinary volume, almost breathless in its scope and conception, carries the reader to their inner most memories, their inner most spaces. Alone, the intellectual weight of this volume would be worth the price of admission. But add to this the evocative nature of the writing and the utter value of these delicate, insightful, and utterly memorable explorations and reflections, and one is left dazzled by the feast presented." "Space, physical space, space they can master, and keep secrets about, is as essential for children as food and water and air. We are in danger of forgetting that; Liz Goodenough's book is an antidote to such forgetfulness. Take it and savour it in your secret place!" "An impressive body of writers, poets, and essayists, including Joyce Carol Oates and Diane Ackerman, captures the daydream-like quality of childhood visions and fantasy worlds, both comforting and frightening." 16 drawings, 13 B&W photographs, 17 color photograph insert.